The Experimental Surgery Department is responsible for the administration of the graduate surgical research programs and it allows excellent opportunities for training under the supervision of professors located in the research institutes of the different McGill teaching hospitals. 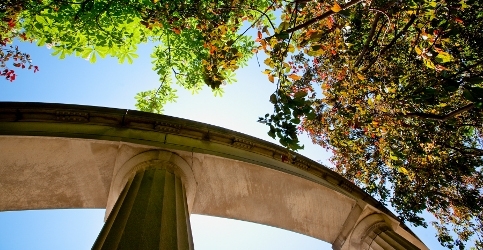 The scope of the research and close connections with other centres and departments of McGill provide ample opportunities for collaboration. The programs are designed to provide you with the training experience in classroom, laboratory and clinical settings that will help you achieve your professional and personal objectives. It allows you to study with an outstanding faculty who are dedicated to their roles as educators and scholars with a passion for exploration, discovery and innovation. The individual research interests of the faculty cover a wide spectrum, from injury, repair, recovery, tissue engineering, transplantation, fibrosis, cancer and stem cell biology, biomechanics, organ failure, to surgical simulation, surgical innovation, education and evaluative/outcomes research. Importantly, the research is performed in a collaborative spirit with basic and clinician scientists working together using interdisciplinary approaches, whether exploring the fundamental questions or performing translational research or applying new knowledge, to solve the most challenging problems in the field of surgery. In addition to the richness of training in a stimulating research environment at one of the world-renowned universities, life in Montreal offers a unique cultural experience with year-round activities in the vibrant downtown core. As well, McGill Graduate and Postdoctoral Studies Office offers a wide range of academic support and professional development services. Additionally, the Experimental Surgery Graduate Student Society (ESGSS) and the Postgraduate Students Society (PGSS) provide graduate students with the opportunity to interact with their peers and offer social and career development opportunities. At present, over 100 students are actively participate in research programs, including faculty, clinical and post-doctoral fellows, graduate students, research assistants and technicians as well as visiting scientists and professors from different parts of the world. Most laboratories are structured along similar lines - full time basic scientists interacting with clinician -scientists. In this manner, movement of new discoveries from the bench to the bedside is facilitated and encouraged. Projects are multidisciplinary in nature and offer both specialized and broad-based training through the use of the most recent techniques in molecular biology, biochemistry, pharmacology, physiology, pathology, bio-informatics and genomics. We are committed to creating the future of Surgery today. Increased emphasis is placed on the need for innovation, which defined simply, is applied invention. Therefore, in addition to the quest for new knowledge, our traditional bench-to-bedside orientation is evolving towards discovery-based research that favors technology, education/simulation transfer. We invite you to explore our programs section for more information about all that our Department has to offer.